Remember when we used to fret over the lack of answers “Westworld” was giving us in those early episodes? Well now, our cup overflows with an overabundance of material that I’m struggling to truly process all of it. But I can center all of what we saw in “Trace Decay” around the one thing that’s supposed to separate humans from hosts: suffering. Based on what Ford told us about the replica family he created to represent his own in the park, Dr. Robert Ford has a past he’d love to discard. And because of that, he believes he’s doing the hosts a favor by erasing all the pain and suffering they’ve endured. He tells Bernard Lowe, “You’re not missing anything at all” when the host questions him about his memories and all the “suffering” he won’t have to endure. 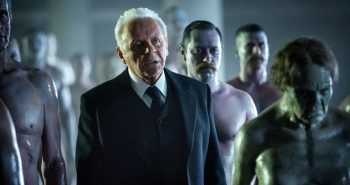 And when you consider how stoic and unfeeling “suffering” and the memories of difficult times in life have made Ford and the Man in Black, it makes sense why Westworld’s creator would want to spare his creation that fate. But the robot rebellion taking hold of the park is fight to hold on to those memories. The hosts that are becoming enlightened are desperately trying to hold onto the memories of previous events they’ve endured despite Ford’s assurances that “You’re not missing anything.” They want their suffering to drive their emotions and actions instead of having everything programmed into them. We’ll see in these final two episodes if the hosts can fully take hold of the memories and suffering they’ve had erased from their minds all this time, or if Dr. Ford can push through all the noise in the park’s system right now and get those memories erased once and for all. 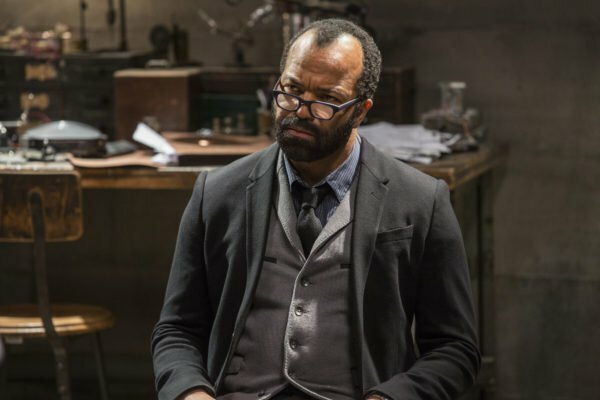 Speaking of Dr. Ford, let’s start this recap with Westworld’s creator as he debriefs Bernard following last week’s tense conclusion. Bernard Lowe has woken up from the whole “Ford told me to do it” stupor he was in and he is distraught. Being a host did not keep him from developing real feelings for Theresa. But don’t worry Bernard, because Ford plans on erasing all that messy stuff you just went through from your mind. And not only will Bernard be losing the memory of killing her, he’ll also be losing any memory that they ever had a sexual relationship. While Lowe is going through the process of having those memories erased, he has several questions for Dr. Ford. Most interesting among those questions was asking Dr. Ford if he’d ever asked Bernard to kill anyone before. Of course, Ford says no (anybody out there actually belief Ford when he said that? Anybody?). But Bernard has a memory of a different female who he appears to have choked out and killed for Dr. Ford. A female that looks an awful lot like Elsie Hughes. Bernard Lowe contemplating his existence as a host. As for Theresa Cullen’s body, Lowe dumped it at the bottom of the cliff to make it look like an accidental death. He also erased any evidence that the two spent any time together on the day she died. Also found on her body were the devices she was using to collect information in the park. Stubbs found the body and gives his “just the facts” report regarding what he found. But he’s completely unaware of the chess match that he has a front row seat for. Charlotte Hale, the executive director of the board overseeing Westworld, doesn’t believe for a second that Cullen’s death was an accident. She doesn’t say it outright, but her face and subtle statements make it clear she’s not buying the story. Hale’s skepticism doesn’t prevent Ford from making the next move in the chess match between these two, releasing everyone that worked for Cullen and taking control of her department so anyone else who might want him removed can be replaced. I’ll have more on Charlotte Hale’s next move in her and Ford’s chess match down in the “Of Note” section. Meanwhile, our favorite host/human romance continued their adventure west, where they find a group of men who’ve been ambushed by the “Ghost Nation.” When questioning one whose still alive, he reveals that Logan sent them (oh great, the return of Douche McDouchery is at hand). Dolores and William continued their journey out West. As William and Dolores continue their march, they finally come across the town she’s been seeing in her dreams. She imagines herself in the dress she wore the first half of the season. It’s the same scene Ford recalled when he discussed the park’s opening several episodes back. And many characters (Maeve, Armistice, the host who greeted William when he first entered the park, Lawrence’s daughter), are in this scene playing a different part. Then, somebody starts shooting everyone. Dolores turns and sees all the bodies on the ground, except for hers. It appears Dolores killed all these hosts and now takes the gun, points it at her head, and pulls the trigger. Is this the malfunction headquarters said happened in the park 30 years ago? Dolores wakes up from the dream/memory (?) and William thinks they need to get back to Sweetwater (good luck with that). But instead, before they can reach home, Logan rides up with a group of hosts (?) on horseback and takes the couple captive. 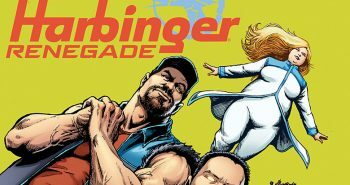 Our favorite rebel robot put her plane of escaping into action this week with the help of her personal human stooges. The plan involves more reprogramming (though I was confused why she didn’t just have this done last time she was in here) to tap into some purpose she just can’t reach that Arnold likely put there and building a robot army. But instead of reprogramming her, Sylvester means to take her to behavior to have her system wiped completely clean while she’s shut down. Raise your hand if you though Sylvester’s plan would work. Anybody? Of course, it didn’t work. Felix fears Maeve way more than the bearded doofus, and Sylvester gets his throat cut for trying to get in Maeve’s way (that is, before having it painfully sowed back together later). When Maeve returns to the park, she’s telling hosts what to do (so that’s how she’s going to build her army). Now, I really want to see Dr. Ford and Maeve battle it out as they instruct hosts to do their bidding. Of course, headquarters notices the havoc Maeve is causing and sends people out in the field to retrieve. We’ll have to wait until next week to see just how unsuccessful that mission turns out to be. Also, it turns out, this is not the first time she’s been nonresponsive to verbal commands. And her memories start to clear up for us, thanks to some major reveals from the Man In Black. The whole “hosts recalling things that were done to them” phenomenon sweeping throughout the park finally bites the Man in Black when Teddy remembers the MIB dragging Dolores into that barn. Teddy and the Man In Black right before Teddy realized just who the MIB was. Teddy and the MIB come across an ambushed party (I think ambushed parties of hosts/humans are going to be a real theme in the final episodes of season 1) with one survivor: a female host the MIB recognizes. But one of Wyatt’s men comes out and attacks Teddy and the MIB (interesting how Teddy’s gun did nothing to slow the man down). The Man in Black is able to subdue and kill the big man/host, but not without jogging the memory of Teddy. Teddy knocks out the MIB and ties him up around the campfire. And it’s this beating by Ted that finally gets us the backstory behind the mysterious Man in Black. The MIB says he’s a “titan of industry, philanthroper, husband, and father” outside of Westworld. But everything changed when his wife killed herself because she couldn’t come to grips with the things he did inside the park. To cope, the MIB decided to do the worst possible thing he could to see if he was capable of feeling anything anymore. He created his own story (the one we are so familiar with now involving Maeve and her daughter). The MIB busted into her house and stabbed Maeve. He then shot and killed Maeve’s little girl. Maeve is also recalling this scene in Sweetwater has the MIB recalls it. The MIB felt nothing after committing the heinous act. But to the MIB’s shock, Maeve fought back and showed emotion he did not think was possible in Westworld. The MIB wants to feel again and he’s been chasing the maze, the deeper game, Arnold’s game, ever since. Just as Teddy can’t bring himself to kill the MIB, the woman they found stabs Teddy. Turns out, she’s a member of Wyatt’s crew and the rest approach, coming out from behind the trees. -I was really glad to get the MIB’s background, but our knowledge of what the maze is, how to get there, and what is waiting on you when you get there, remains elusive. -Bernard Lowe was a creation of Ford’s so he could get deeper emotions out of the hosts. -Another quirk to the hosts as revealed by Felix is their ability to, when they remember something, remember it in vivid detail instead of hazy like humans do. I’m sure the humans who’ve terrorized Westworld in the past would love to hear that. -Maeve was brought into headquarters, where Ford erased her memory, answering the question of why she was given a new narrative a year ago. -Theory speculation: Dolores and William found the aging church steeple that Ford started building his new edition to the park over back in episode 2. Did Ford want to build over that land because of the memories it stirred in Dolores? And if construction has plowed over that steeple in present day, when was this moment William and Dolores are experiencing? -Also, if Dolores killed all the hosts and herself in one mad rampage, it makes sense why Ford said a few episodes back that he doesn’t consider her a friend at all. -In response to Theresa’s death, Charlotte Hale went and found another disgruntled employee: Sizemore. The head of creative is now tasked with loading the park data Theresa collected and put it on a host (Dolores’s father from back in the first episode) and sneak that host out of the park. Just two more episodes remain. 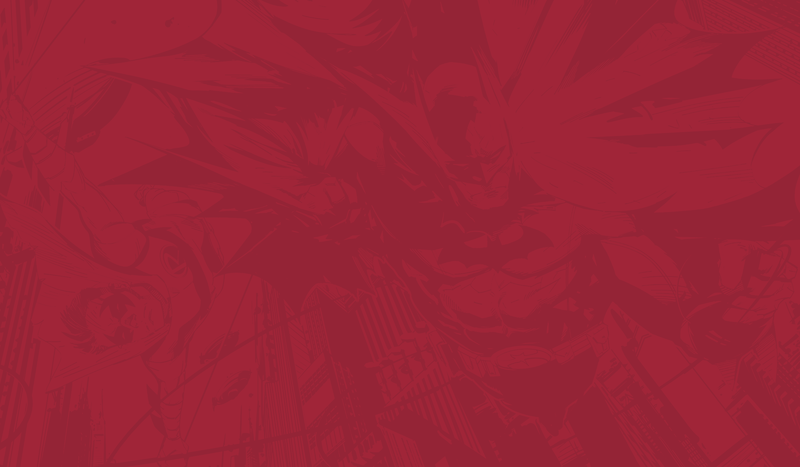 I really hope we see a little less vague dialogue next week and a lot more plot movement towards the big reveals that have to be coming in the final two hours. 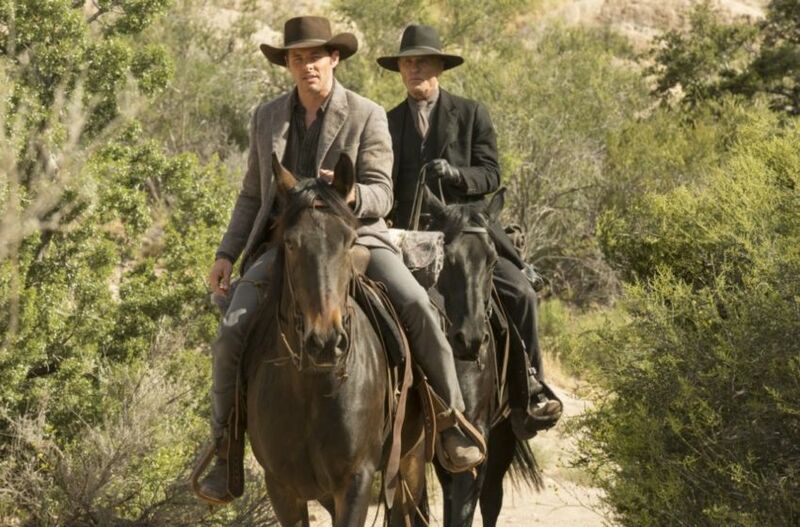 Trace Decay Westworld Westworld recaps Westworld Season 1 Episode 8 Westworld season 1 episode 8 recaps What did the Man in Black do to Maeve and her daughter? What happened to Elsie? Who is the Man in Black?